Some months ago someone contacted me and asked me for permission to translate WR&M into German. This wasn’t actually necessary, because the license I released the game under allows that anyway, but it was the nice thing to do. Of course I gave my permission and some time later the guy working on the project sent me his drafts. Alas since then I haven’t heard anything about that again. Recently more and more people have asked me about a German version of WR&M and so I finally caved in. I am going to do the translation myself. The advantage of doing the translation myself is that I don’t have to slavishly stick to the English version. That makes writing a German version much easier without changing the actual rules. What I will do is probably include some errata and put the content of “The Art Of Combat” into the core rulebook. I’ll also change the font I used in the layout because it had some issues. So what does that mean for the English version? Depending on how things work out I may release an errata or even an updated version of the original game. Depending on how much work I am willing to put into it, I might even release a newly laid out version. 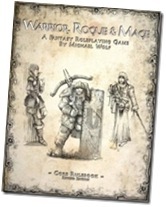 If you have found any errors in the WR&M core rulebook or in The Art of Combat, please post those errors in the forums. Thanks! Earlier today Christopher Brind contacted me today and let me know about a cool ruleset for tactical games he has designed for WR&M. It’s modeled loosely after the system from the classic Games Workshop game Space Hulk and you may also know similar systems from turn-based computer games like Jagged Alliance or Ufo: Enemy Unknown. If you are interested in a more tactical combat in WR&M and any other Wyrm System game, check out Christopher’s blog post on the subject. He is currently planning to do some playtesting. If you like the idea, why not head to his site and leave some feedback? 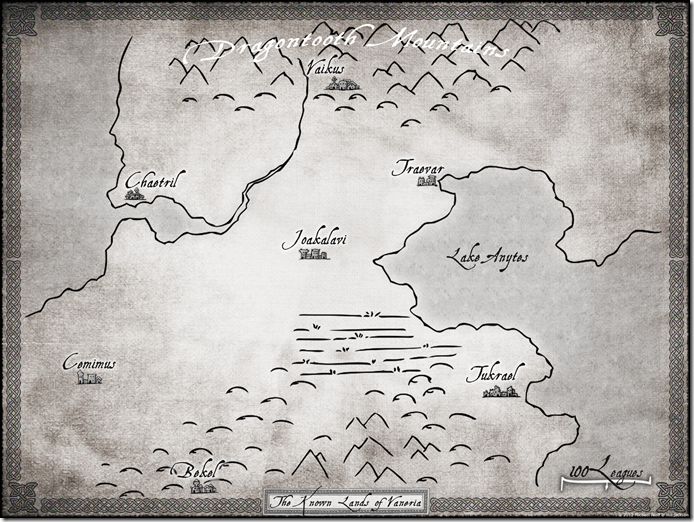 For the longest time fans of the Warrior, Rogue & Mage RPG have been wondering how the lands of Vaneria look like. This question is now answered! 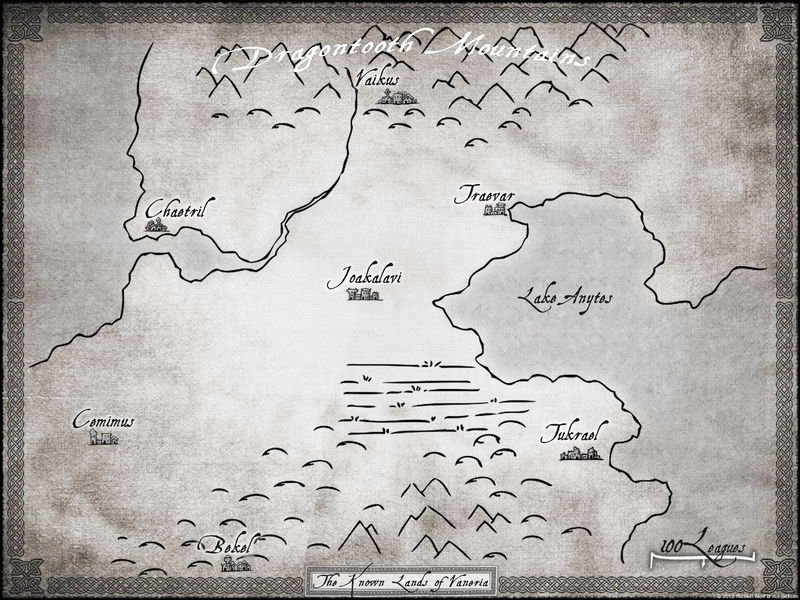 When I wrote WR&M I only had a faint idea of what the known world looked like but Matt managed to turn my words into an awesome map. I especially like the city icons. Adorable! There was also the question of scale that had to be tackled. In the end we settled for a size comparable to Greece. I hope you like the map as much as I do. And while you’re at it, why don’t you visit Matt’s blog and check out his other works? It’s worth it!